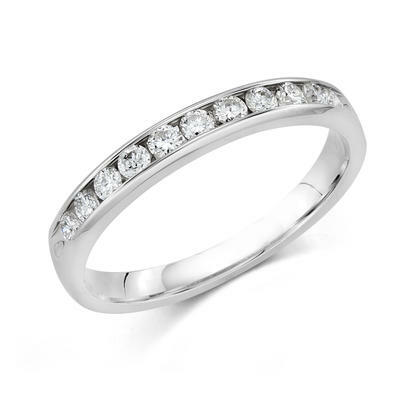 This ladies anniversary band channel set in 14K White Gold with ten sparkling white diamonds of 0.33 total carat weight. 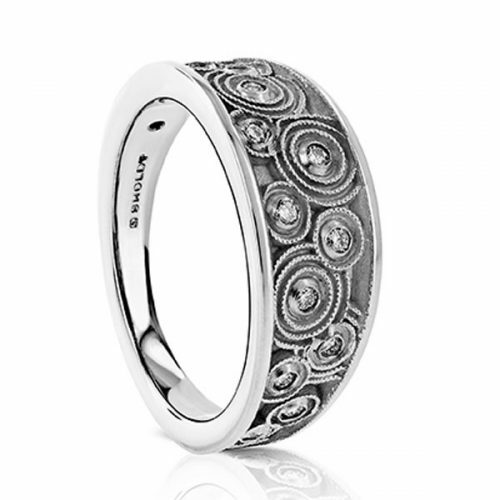 A stunning ring by itself or paired with a wedding set. Ring size 7. 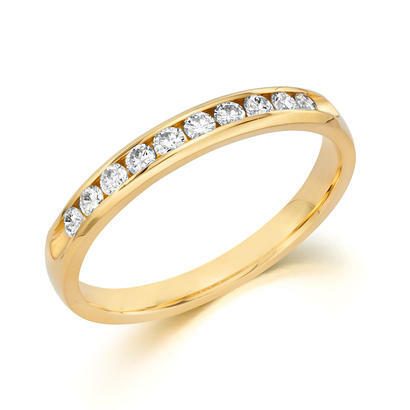 This ring is often used as a Wedding Band, Anniversary Ring, or stackable ring. The channel set design of the diamonds gives plenty of strength and stability. Jubilee style. Please note that this ring is not designed to be changed in size. Other sizes are available for special order. 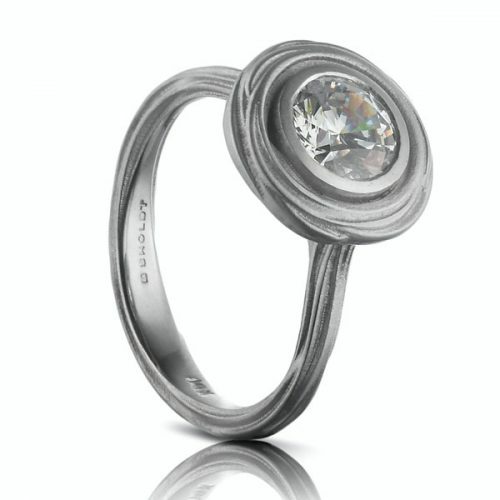 Since 1936 Camelot has been creating beautiful, comfortable rings designed to last a lifetime. Their company policy has always been to produce every aspect of every single piece of jewelry we make. Your Camelot ring is warranted against any imperfection in design or workmanship. 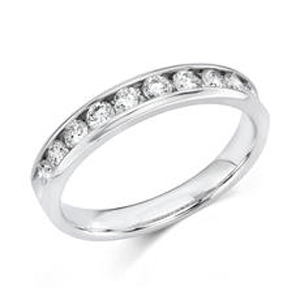 Our written warranty also assures you of metal content as well as carat weight of the diamonds.